A good central air conditioner is a huge upgrade for most Columbus homeowners. If you’ve been using window units for the last few years or have an older central unit that simply doesn’t get the job done any longer, a brand new central unit will feel incredible. But, before you run out and hire someone to install a new central air conditioner in your Columbus home, there are a few things to remember. 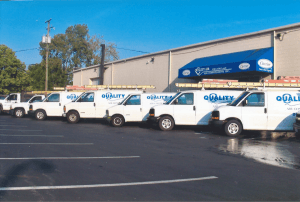 If you’re ready for a central air conditioner and want to start the processor, call a Columbus AC professional like Quality Air Heating and Air Conditioning who can help you go through each of these issues and make sure your home is ready for the new device. Once you’ve done that, you can select a model and have it installed.